Joint pain isn’t any fun. 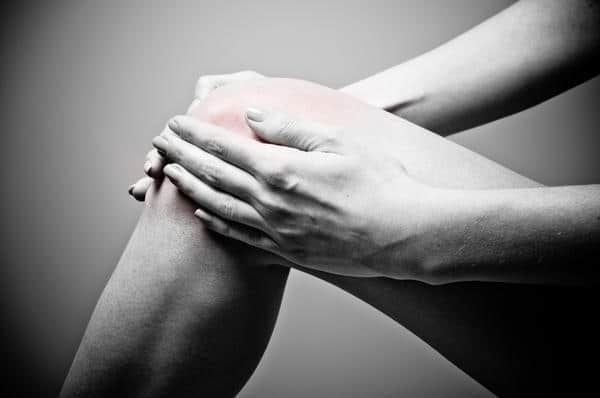 Whether it’s an on-and-off achy shoulder or a lingering discomfort in your knee, pain in your joints can cause a great deal of uncertainty and worry. Recurring joint pain may keep you from activities you once enjoyed without limits, and sometimes, depending on the severity of the pain, it can be nerve-wracking to think about the potential of serious underlying issues. That’s not to mention the stress you may experience from considering the realities of different treatment options, the costs of rehabilitation and more. Stress can have a lot of negative effects on your body. And yes, consistent stress in your everyday life can absolutely be a contributing factor to joint pain. Of course, it can be a “chicken or the egg” type of situation – anxiety can be making your joint pain worse, or the existence of joint pain in general could be the source of your anxiety. But stressful situations can both directly and indirectly be linked to the discomfort you’re feeling. 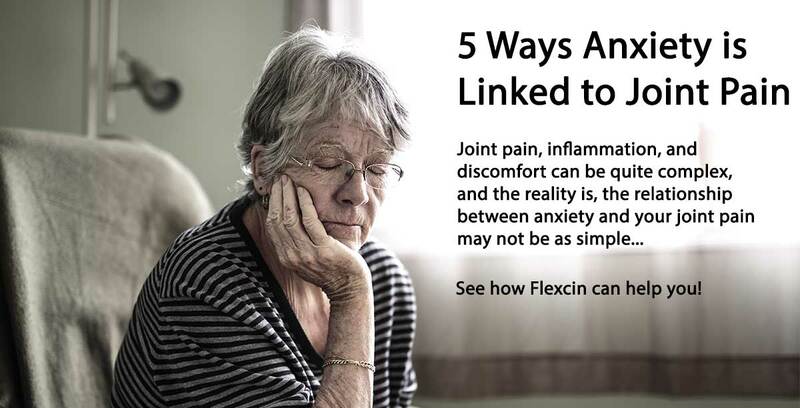 While a strengthening routine and the help of a supplement like Flexcin can alleviate your joint pain, if you’re suffering from anxiety, there are additional things you can do to return to a pain-free life. With a broken bone or a torn ligament, the pain you’re feeling can be easily attributed to the specific injury you sustained. But anxiety-related pain can be a bit more abstract in how it affects you. We’ve compiled a list of five different ways that stress and anxiety can cause joint pain. Our bodies have physical reactions to stressful situations. Let’s say you’re driving, and someone cuts you off so you have to slam on the brakes. You may feel a pit in your stomach or a rush of adrenaline. That sensation is part of our “fight or flight” response. It’s a physiological reaction that occurs during the stress-causing event, and once the moment passes, our body returns to its regular state. 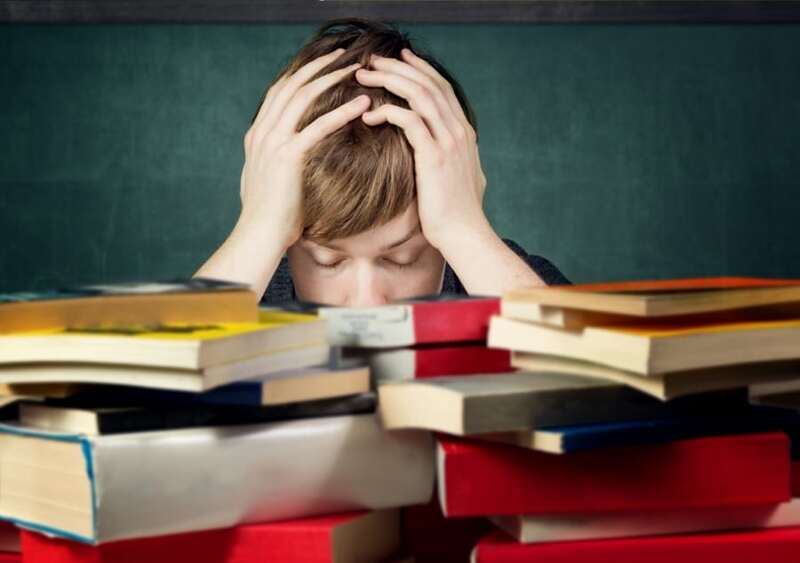 But there is another kind of low-grade, chronic stress, which causes a reaction so subtle you may not even notice it. And while you might not be consciously aware that it’s happening, if your body is in a constant state of responding to anxiety, the “stress hormones” released in response to that stress will elevate and upset the balance in your system. If these elevated levels don’t have a way of dispersing, either through activity or eventual dissipation of the stressful environment, the hormones will linger in your body and create all kinds of issues. One such issue is increased inflammation in your joints. Have you ever found yourself waiting for a friend to arrive so you could go to see a movie? But they’re running late – and as it gets closer and closer to the start time, you notice your foot starts tapping or your leg starts bouncing. These kinds of movements are common releases for getting through anxious moments. But if you’re experiencing chronic anxiety, the frequency of these repetitive motions could put additional strain on your joints. Conversely, constant stress could lead to a decrease in your normal movement, which also has an adverse efffect. People who face a great deal of stress can be less active or look to spend more time in bed. The less you move your joints, the more susceptible they become to tightness and inflexibility. The same person with the same knee pain could have two completely different experiences. In the first situation, they have to stand on the bus on their way to work. Almost immediately, they become aware of the discomfort and have an unpleasant commute. In the second situation, the person is on vacation, and stands for the same length of time – only now, they’re at a concert on the beach instead of being on the city bus. They don’t seem to notice the pain this time around. In this hypothetical scenario, the person has the same issue with their knee, they just become less aware of the discomfort when they have something enjoyable to focus on. The same can be true for people suffering from chronic anxiety. Stress can change your perception of everything around you. Pain that might be manageable on a stress-free day could become a lot more unbearable when you have a lot to worry about. You’ve probably heard people say (or said yourself) something like, “I keep all of my tension in my shoulders.” When we’re anxious, it’s not uncommon to subconsciously tighten up. Hunched shoulders or a clenched jaw are just some of the ways our body tries to compensate for nervous energy. When our muscles are tense or stiff, they make the joints work harder, which in turn can cause increased inflammation or discomfort. It’s important to be mindful of the specific ways our bodies react to anxiety, and to try and correct the movements or behaviors we subconsciously exhibit before they become problematic. As mentioned before, stress can wreak havoc on your body, and your immune system is no exception. Anxiety can lead to high blood pressure and a host of other issues that will weaken your body’s ability to stay healthy. Additionally, coping methods for stress like smoking or drinking alcohol can further push your body into compromised health. When your body is trying to fight off illness, the pain caused by inflammation will feel much worse. It can be difficult to take care of yourself when you’re dealing with anxiety, but it’s still incredibly important. The healthier you are overall, the less likely you are to deal with joint pain and stress, and the better equipped you’ll be to deal with these issues should they still occur. If you’re suffering from anxiety that is making your joint pain worse, there are a few things you can do to help. One solution is to focus on your diet. By eating the right foods (discussed in further detail here and here) you can reduce inflammation and improve your overall well-being. The importance of a balanced, healthy diet cannot be understated for both physical and mental wellness. You should also try to decrease your anxiety levels using a few simple remedies. Many people find that engaging in deep breathing exercises helps them to decompress from stressful situations. Listening to music can also be a great way to lower anxiety, as it diverts your attention away from things that may be weighing your mind down. And even light exercise has proven to be a great release. In addition to helping dissipate the hormones built up by anxiety, it can go a long way towards building a better, fitter body. One of the most common issues inside the body that is caused from stress is inflammation. Due to the fact that anxiety can increase long term stress, the risk of of inflammation is high. This inflammation can cause pain and swelling in your joints, affecting your every day movements. Anxiety, especially panic attacks, can change the way you move, sit, and act. Shaking your leg or sitting in a different way that is more comfortable for you could change your normal movements. Additionally, anxiety can cause you to exercise less, cross your legs more than usual, or lay down more, things that can cause their own joint pain. Anytime new behaviors and movements change in a way your body isn’t used it, it can lead to unexpected joint pain. Anxiety also causes muscle tension which can lead to stiffness. Stiff muscles cause your joints to work harder, leading to increased inflammation and discomfort. Muscle tension itself can also put direct strain on the joints in its own way, resulting in pain. 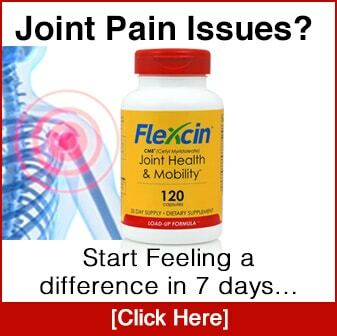 Healthy people who don’t normally experience joint pain can find their joints bothering them on any given day. It may increase or decrease based on the way you sleep, the way you are sitting, exercise levels etc. When anxiety comes into play, you are much more likely to experience pain in an exaggerated way. Ignoring it may not be an option and could perpetuate your anxiety. Often times people with anxiety have the same aches and pains as others, but cannot focus their attention on something else, making it much more painful. It’s also well known that anxiety and stress directly affect your immune system. A weakened immune system can lead to feelings of pressure and distress. If you catch a cold or flu, aches and pains in the joints will become more prevalent. This discomfort could also cause more anxiety and the unfortunate cycle will continue. In addition to the remedies listed above, you can achieve the best possible results by pairing these activities with a powerful supplement. 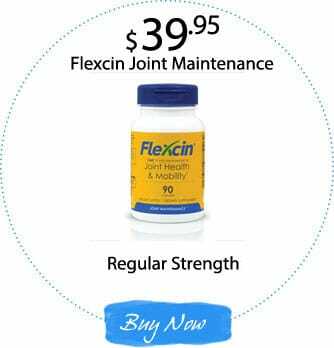 Flexcin offers an all-natural line of products that can be the difference maker in overcoming joint pain related to anxiety. 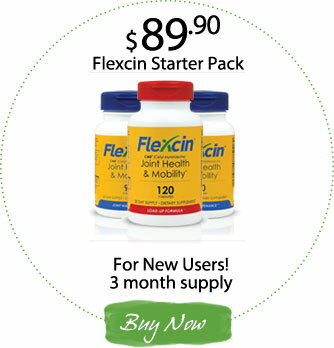 The Flexcin Starter Pack is the best option for those new to a joint supplement. It includes one bottle of our Load-Up Formula, which utilizes a higher concentration of the pain-relieving ingredients to “load up” your system, and two bottles of our regular strength Joint Maintenance Formula. The Joint Maintenance Formula can also be purchased separately as a one-month supply. With ingredients like CM8 (which is found in no other product on the market) and traditional powerful ingredients like glucosamine, it’s the perfect supplement to help increase mobility, decrease inflammation, and prevent further joint degeneration. 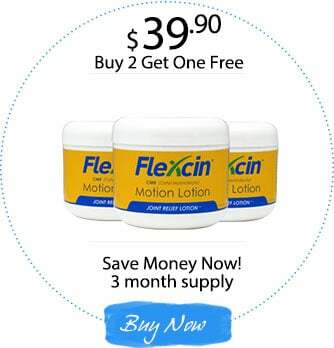 Flexcin also offers Motion Lotion, a topical cream that can be safely used to provide fast relief for symptoms of joint aches and inflammation. 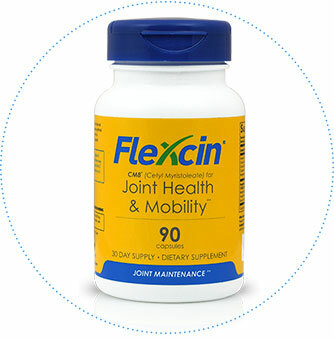 Every 90-day supply of Flexcin product comes with a 100% Money Back Guarantee. If you’re not satisfied with the results you experience, simply return your first order (up to three empty bottles) for a full refund of the purchase price, less shipping and handling. If you’re experiencing chronic anxiety that can’t be relieved by the methods listed above, consult your doctor to explore alternate methods that may be better suited for you. But if you suspect your stress levels, while manageable, are contributing to your joint pain, make a commitment to your health with a simple program – exercise, relaxation, and the power of a supplement like Flexcin. what course of action to take. I agree. I am suffering from anxiety and stress at present due to a recent death of a friend and family illness. thanks very, very much Doc.. Thank you that helped alot i was hoping it wasnt something more serious.